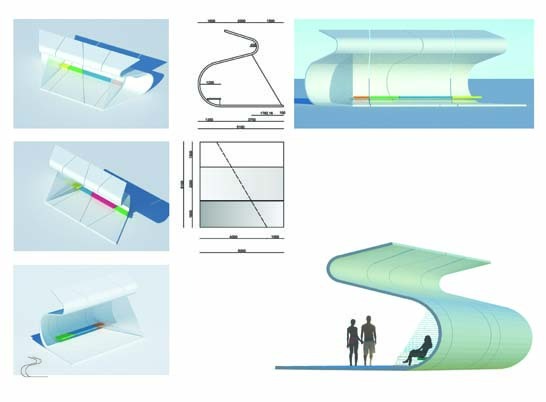 We proposed a stressed skin monocoque wave to create a beach shelter for the Bexhill promenade. The brief asked for four shelters and we designed a modular system that can create larger or smaller shelters very simply. Other characteristics included a woven mesh windbreak, roof mounted photovoltaics, edge mounted LED lamps and an integral gutter collecting rainwater for use in planting along the prom.